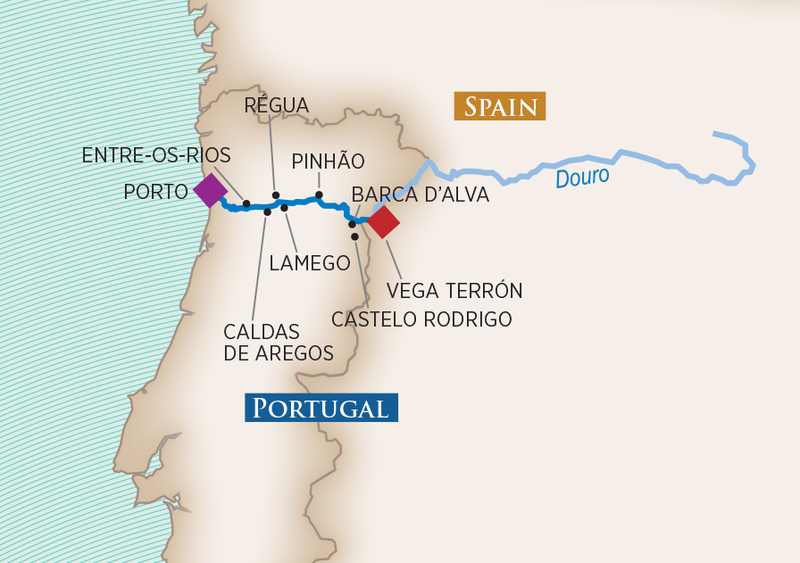 The AmaVida (2013) brings AmaWaterways’ distinctive standard of excellence to the Douro River in Portugal. This eco-friendly 102-passenger vessel features balconies in most of its spacious staterooms and suites, which range up to 323 sq. ft. Guests on the AmaVida enjoy fine dining in the main dining room, plus al fresco dining for up to 32 guests. The AmaVida also features a Sun Deck swimming pool, fitness center and spa, complimentary in-stateroom Internet access and Entertainment On-Demand, and ship-wide Wi-Fi. Balcony staterooms are 215 sq. ft. and Panoramic Window staterooms are 161 sq. ft.